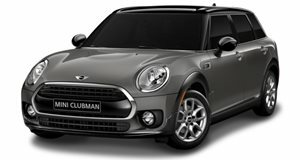 It looks like a regular Mini, but will it still drive like one? 2019 will be a landmark year for Mini. Not only does this year mark the, but also the start of a new era with the launch of the first-ever fully electric Mini. We've , but these latest spy shots show the car sporting production headlights and taillights, matching the lights found on the regular facelifted Mini. This suggests the Mini Electric is moving closer to production. As expected, the Mini’s iconic design isn’t expected to dramatically change for the fully electric model to avoid alienating long-time fans, but there are a few changes. The grille, for example, has been closed off since the electric version won’t need the same cooling as its combustion-powered counterpart. There will also be some aerodynamics features as seen on the , although these will be toned down, as well a unique set of wheels. However, the prototype was seen riding on a regular set of wheels due to winter tires. Inside, the changes will also be minimal apart from the addition of a new digital display in front of the driver replacing the standard car's gauge cluster. Technical specifications are still being kept under wraps, but the Mini Electric is expected to share the BMW i3’s powertrain delivering up to 184 horsepower and 199 lb-ft of torque. The i3 has a pure electric range of 124 miles without an extender, but the smaller Mini Electric will hopefully have a slightly longer range. Let’s just hope the addition of a battery and electric motor doesn’t compromise the Mini Electric’s driving experience. After all, a proper Mini should be agile, light, and criminally fun to drive. We know you're driving one, and it's time to stop. It’s flawed, yes, but the Mini Clubman is still a very well-rounded family car.